The Skokie Montessori School recognizes and respects the fundamental value, dignity, talents and special needs of each child. 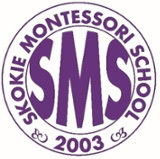 Skokie Montessori offers eligible Northwestern faculty, staff and students a 10% tuition discount to admitted and enrolled students in the toddler, pre-K and elementary programs (age 2-12 years). For admissions information, and to schedule a visit to the school, please contact Mariquita Florendo, Director at staff@skokiemontessori.com or visit the Skokie Montessori admissions page.